Five percent of the universe’s total mass is molecules, planets and stars. Everything else is dark energy or dark matter, and no one had ever been able to study it. 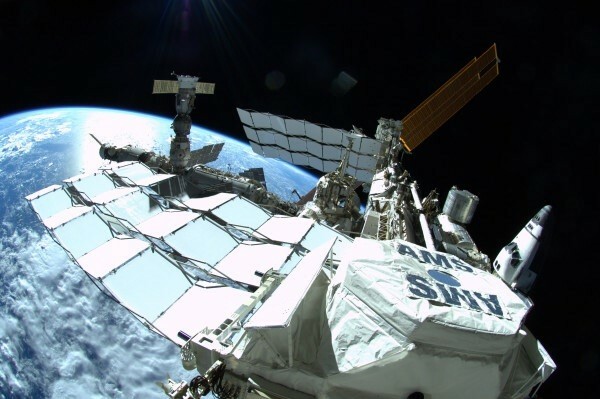 An international team consisting of 56 institutes from 16 countries came together to build, test and operate the Alpha Magnetic Spectrometer (AMS-02) to help us understand the universe, its origins and the galaxy. The AMS-02 payload weighs 15,251 lbs. and has been operating 24/7 on-orbit aboard the International Space Station (ISS) since May 19, 2011. This payload is expected to operate until the end of ISS, which is currently planned to continue through 2024 and will probably be extended beyond. It has 300,000 data channels, of which 200,000 reside in an instrument called a Tracker. The Tracker uses a two-phase carbon dioxide cooling system to remove heat and maintain a constant temperature in the instrument. However, three of the four redundant pumps in the cooling system have stopped working, leaving only one to perform the thermal management task. 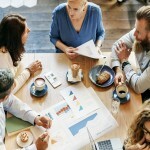 This is the problem that the Business Integra (BI) Houston team has solved. The team collaborated with their international counterparts and the National Aeronautics and Space Administration (NASA) Johnson Space Center (JSC) to define and design an updated cooling system to replace the existing system. The updated system will enable the AMS-02 to continue collecting high-quality data as long as the ISS is on-orbit. “We are working on a refrigeration system that flies in space…it’s harder than what most people would think since you can’t just pull the ISS over to the nearest repair center and replace the part,” said Hsing Ju, the chief mechanical engineer and designer in the team. The team’s activities included defining the system performance and safety requirements as well as designing the structure, radiator, heat exchanger, cables for electrical power and data, Extravehicular Activity (EVA – astronauts going in spacesuits to work outside ISS) compatible manual valve and EVA compatible attachment interface. 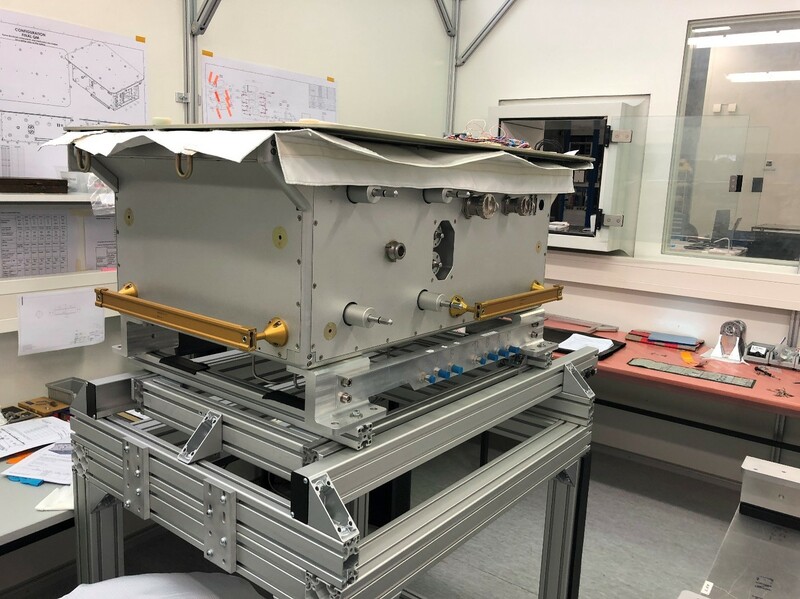 The team also worked with the AMS Collaboration to integrate many other components – such as the refill tank, pumps, accumulator, control electronics and fluid connections that link the Upgraded Tracker Thermal Pump System (UTTPS) to AMS-02 payload – into the design. To ensure that the hardware met performance and safety requirements, they tested the components (including the radiator, manual valve and heat exchanger). All the design work and testing of the manual valve and heat exchanger were completed in Houston, Texas, while the testing of the radiator was completed in Austin, Texas. The manufacturing of the various components was completed all over the U.S. between 2017 to 2018. This Qualification Model (QM) of the UTTPS and its attached Ground Support Equipment (GSE) are currently at the University of Perugia/SERMS test facility in Terni, Italy, where the QM UTTPS will undergo vibration, thermal/vacuum and electromagnetic interference environmental testing. Once the qualification testing is completed, the university will ship the UTTPS to Aachen, Germany. 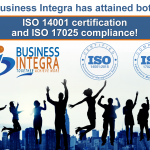 This is a huge breakthrough for Business Integra’s (BI) Houston team. “For an engineer, it is a point of pride to see the project that you have been working on assembled and shipped. It’s a milestone,” said Ju. Preparations are also underway for the assembly, checkout and test of the Flight Model (FM), which comes after QM. The FM will incorporate everything learned from the testing of QM and will be launched to the ISS next year for EVA installation on the AMS-02 payload. “Seeing the hardware successfully installed and operational in space next year will be an even bigger milestone for the BI Houston team,” said Tim Urban, operations director of the team.